Offering you a complete choice of products which include absorbent gauze swab, spunlace gauze swab, laparotomy sponges (abdominal pads), sterile dressing pack, acesocare spunlace laparotomy sponges and gamjee roll. 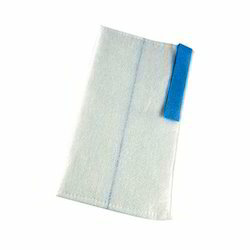 We are an eminent firm, engaged in offering an excellent quality range of Absorbent Gauze Swab. The given gauze swab is available in varied customized options so as to meet the needs of clientele. Furthermore, the gauze swab offered by us is checked properly by our quality controllers for supplying defect free range. This gauze swab is machine made gauze swabs with and without X-ray detectable Flament thread firmly attached with edges tucked in. In order to meet the various needs of our precious clients, we present a broad classification of Laparotomy Sponges (Abdominal Pads). Our offered sponge is expertly designed with optimum quality material and modern machines as per the standards of market. Our provided sponge is demanded among customers owing to its superior quality. 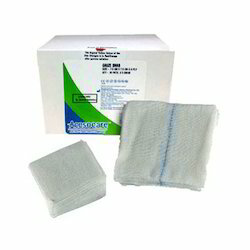 We are giving this sponge in EO or Gamma sterile packs as per the requirements of customers. We are a noteworthy entity in this domain, engaged in offering a wide assortment of Sterile Dressing Pack. The dressing pack offered by us is properly designed at our highly advanced manufacturing unit utilizing finest quality material following market defined standards. Offered dressing pack is completely checked by quality controllers in order to supply a defect free range at customer’s end. As well, we offered this dressing pack to the customers at market leading prices. 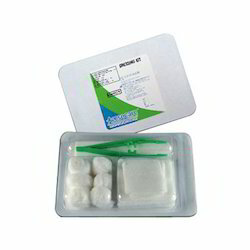 Gauze Swabs 7.5cm x 7.5cm x 12 ply 5pcs. Dressing Pad 10cm x 10cm 1 no. Gauze Swab 10cm x 10cm - 8Ply 6 Nos. Non Woven Fabric Laminated Sheet 1 No. Gauze Swab 7.5cm x 7.5cm - 8Ply 6 Nos. Drape 80 x 100cm 1 No. Bio Hazard Bag 1 No. Acesocare Spunlace Laparotomy sponges are absorbent pads used in abdominal surgery. They contain layers of non woven fabric stiched together with sealed edges to prevent lint residue. Absorbs more fluid than ordinary obdominal pads. 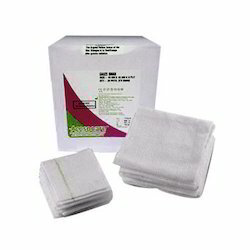 Acesocare spunlace lap sponges are free foam foreign matter and optical whiteners. Available in Non-Sterile Bulk Packs. 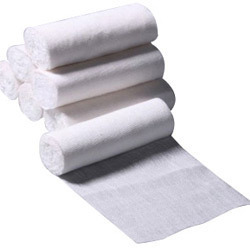 We produce and supply to our clients, a wide range of gauze roll that are hygienically made so that they are safe to use in various medical applications. 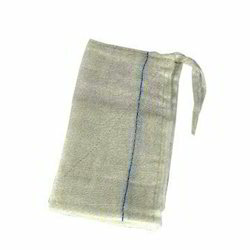 Made from finest quality cotton, these gauze roll can be provided with X-Ray detectable thread if required by the client. These rolled bandages, gauze roll bandage and cotton roll bandage are used for different types of cuts, injuries, wounds etc. Strong and convenient, these gauze roll bandage, cotton roll bandage are used when moderate compression is required. Skin friendly and hygienic, these gauze roll bandage, cotton roll bandage are available in different sizes. Acesocare Combine Dressing Pads are Sterilised, ready to use surgical dressing pads in different sizes. Absorbent cotton wool I.P wrapped in highly absorbent viscose layer. Soft, Comfortable wound dressing for exudating wound. Minimal dressing change reduces patient trauma.